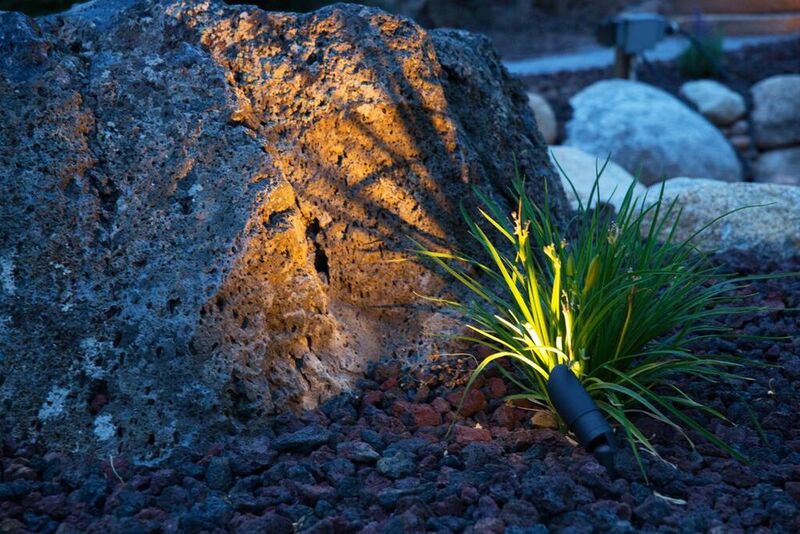 Platinum Landscaping of Salt Lake City, UT has a variety of outdoor and patio lights for sale. Our goal in all parts of the landscape installation is to install a product that is easy to maintain or adjust. Our company has experience strategically placing outdoor patio lights for many Salt Lake City area homes with a focus on certain aspects of the landscape. If you desire to adjust the setting, it is very easy to do. Each light has a nut that can be loosened to adjust the light either up or down. To adjust the direction either left or right, simply twist the light to the desired location. These lights are low voltage and are connected to wire that is buried beneath the ground. Therefore, you can't pick up the light and move it to a new location without digging up the wiring. And, you will be limited in how far you can relocate the light based on the available wire. The biggest maintenance concerns for home owners in the Salt Lake City area are outdoor lights and patio lighting getting bumped or pulled out of the ground. Just insert the light stake back into the desired location and make sure that it works. Sometimes the connection underground gets broken so if the light does not work, dig back the ground and make sure that all wires are connected into the waterproof encasing. Over time, light bulbs will burn out and need to be replaced. To get the glass cover off, unscrew the nut that holds and remove the glass lens. We can secure new light bulbs for you through our distributor. The last item is the low voltage transformer. Outdoor lighting is usually set up in ZONES. We minimize the number of lights per zone so that we do not have line voltage drop. Most systems are equipped with a timer so that you can set the time for the lights to come on and off. As the season changes, you will want to adjust the start time.